A domain or domain name is a human-friendly text (f.e "www.megaleechers.com"), that represents/points to a raw IP address like "111.222.333.444". The domains are used because it's easier to identify and remember a name rather than a long string of numbers. 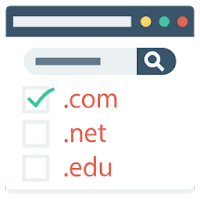 Each domain name consists of two parts separated by a dot: the first part right to the dot is the name itself and the second part left to the dot is the Top Level Domain - TLD. For example: megaleechers.com consist of megaleechers (name) and com (TLD). The most popular top-level domains are .com, .net, and .org. A domain name registrar is an organization or commercial entity that manages the reservation of Internet domain names. Anyone can register any domain as long as it's not already owned. Here's is the most popular and reliable domain name registrars that help you register and manage your domains. some of them even allow you to register a free domain name for a lifetime or specified period of time. Namecheap is a leading ICANN-accredited domain name registrar and web hosting company which is founded in 2000 by Richard Kirkendall. Namecheap provides services on domain name registration, along with full-featured hosting packages, secure SSL certificates, WhoisGuard privacy protection service, and more. Namecheap manage more than 7 million domain names and has about 3 million customers. 1&1 Internet, founded in 1988, is one of the world’s leading Web hosting providers owned by United Internet, a German Internet company. 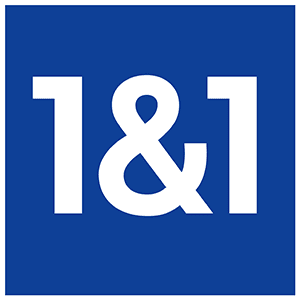 1&1 currently offers a wide range of Web hosting products, including email solutions and high-end servers in 10 different countries including Germany, Spain, Great Britain and the United States. With more than 17 million customers worldwide and more than 71 million domain names under management, GoDaddy is the world's largest domain name registrar. Freenom is the world's first and only free domain provider.